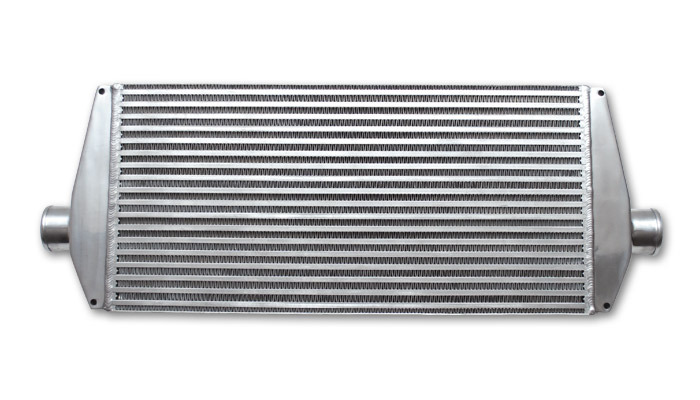 Vibrant Intercooler Assemblies are all designed in house; and feature the same bar and plate construction as well as Louvered fin design on ambient air path with offset fin design on charge air path that is found in our lineup of Intercooler Cores. Each assembly also features cast aluminum tig welded end tanks; with a 2.5" or 3" inlet/outlet depending on intercooler size. These preassembled intercoolers each include mounting brackets and hardware for ease of installation and are pressure tested to ensure a leak free assembly.